Winter is a beautiful season in Iceland: Golden days, dark evenings, fluffy powder snow… Icelandair presents a new in-flight beer that aims to capture this seasonal magic. 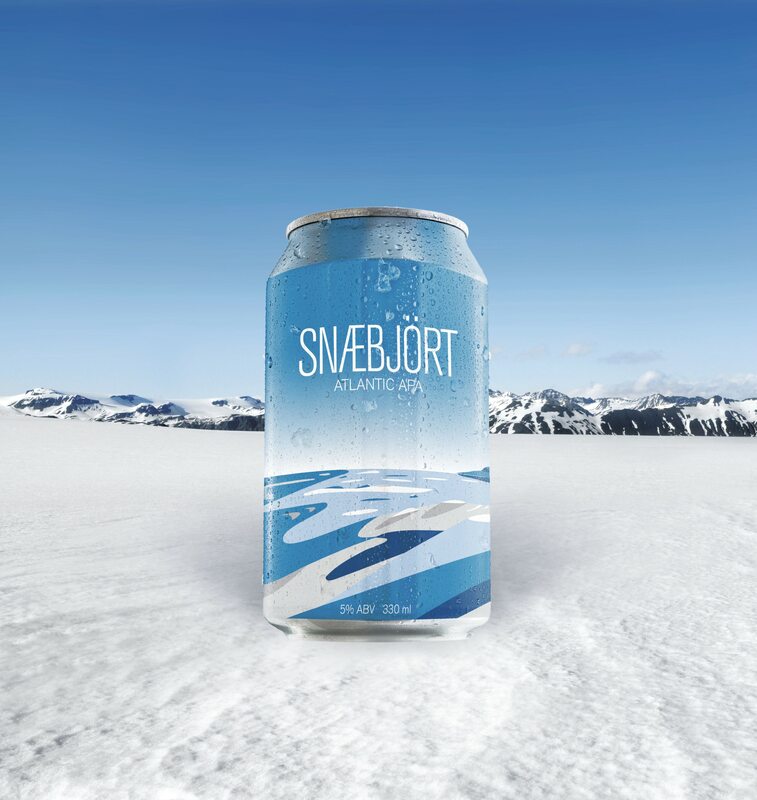 Named after the glow of the Icelandic snow, Snæbjört (pronounced sny-be-ert) is an American pale ale inspired by the Icelandic winter. With its light gold color, it aims to celebrate the snowy season and the glimmers of light that manage to conquer the Icelandic darkness. Snæbjört is brewed by the state-of-the-art Boyne Brewhouse in Ireland, using American hops Azacca, Mosaic and El Dorado, and American Ale yeast. The hoppy, fruity taste has a sweet aroma reminiscent of pineapple, mango and passionfruit. The alcohol content is 5%, which is fitting as 5°C (41°F) is the average year-round temperature for Reykjavík. Snæbjört replaces its popular predecessor, the 737 IPA, as the alternative in-flight beer. Passengers can enjoy this special edition pale ale on board and in the Icelandair Saga Lounge at Keflavík International Airport. Our recommendation (naturally): Best enjoyed chilled.